Chelmsford, MA (June 26, 2018) – A motorcycle accident on I-495 Monday injured two people in Chelmsford, Massachusetts. The accident took place just north of Route 3. Police arrived on scene to find two people injured in the accident. Their injuries are described by authorities as serious. Both injured victims received treatment on the scene before being transported to a local hospital for additional treatment. A medical helicopter transported at least one of the victims. The seriousness of the wreck caused major slowdowns for traffic in the area. Both sides of I-495 were closed while the wreck was investigated and cleared by authorities. As a result, delays extended for miles from the accident scene. The roadway was finally re-opened around 5:00 pm. There is no word on the condition of the injured victims and it is not known if any life-threatening injuries were suffered in this accident. Chelmsford police continue to investigate. 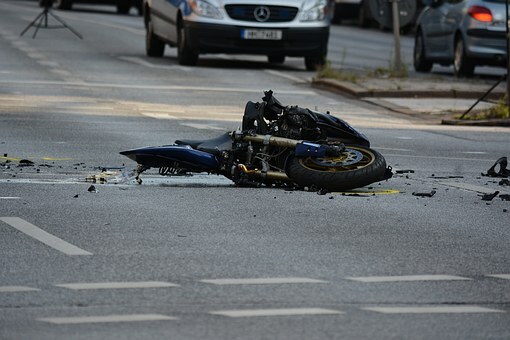 Motorcycle accidents can be, and often are, serious in nature. While riding a motorcycle brings thrills, it also brings dangers. Motorcycles have little protection from outside forces in the event of a collision as the rider’s body is completely exposed except for a helmet and any other protective gear they may be wearing. While we certainly encourage the use of protective gear, many times there is little to be done to prevent serious injury in a motorcycle crash. In some cases, other drivers fail to respect the rights of motorcyclists to be on the road. They may fail to yield or fail to leave proper space between their vehicle and the motorcycle. This can cause accidents to occur which are not the motorcyclist’s fault. If a driver is negligent and their negligence leads to injuries, a motorcyclist has a personal injury claim against the driver. If you or a loved one have been injured in a Massachusetts motorcycle accident, you need a strong personal injury firm to fight for you. At the Law Offices of Jeffrey S. Glassman, we have a team of dedicated professionals who are willing to go to bat for you and give your case the time and attention in it deserves. We focus our practice on personal injury, including motorcycle crashes, so that we can better serve you in your time of need. For a free consultation, please call us today at 617-367-2900. The call is free and we are waiting to hear from you.